A new initiative was launched earlier this summer to find 20 under 40 year olds from the global cruise industry who have shown either great initiative, an exceptionally hardworking culture or demonstrated strong leadership. 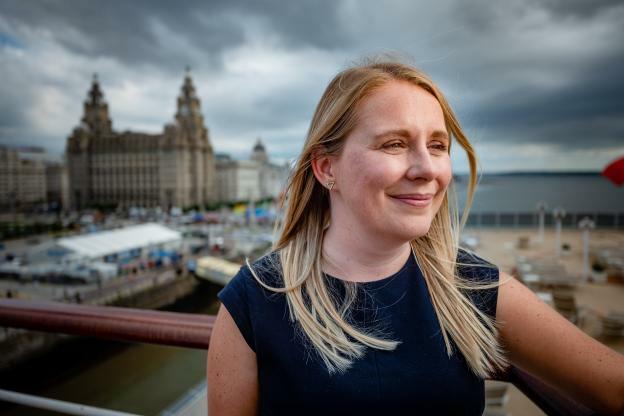 Our very own Kate Green is the Passenger Operations Manager at Cruise Liverpool. Her role is to provide high level port operational management whilst cruise ships are alongside. Those who know and work with Kate, already know how extremely hardworking, dynamic and enthusiastic she is. But her consistent pursuit for excellence and focus on customer service has been recognised at a global level. Kate is one of 40 young professionals, shortlisted for the ‘Seatrade 20 under 40’ initiative which showcases and recognises young individuals who are leading the way. Sponsored by TVG Travel, Seatrade Cruise News 20 under 40 is cruising’s answer to Forbes 30 under 30, highlighting the brightest of minds who show initiative, commitment to a hardworking culture and outstanding leadership. Kate has been recognised as an inspiration to the cruise industry. Having worked at Cruise Liverpool for 6 years Kate is a supreme example of a talented young person with a passion and enthusiasm for her role and the wider cruise industry; a definite ‘next generation’ industry star. Kate is, amongst other things, responsible for establishing and maintaining relationships with partners across the city region including hotels, visitor attractions, tour operators, catering and retail businesses. In addition, she manages all aspects of marketing, sales and events for Cruise Liverpool whilst promoting the city within the cruise industry. For such a busy lady you’d think the hard work ends there, but not for Kate, The visitor experience is at the heart of everything she does and her personality allows her with ease to enhance the passenger experience by showcasing Liverpool, exceeding passenger expectations at every stage of their journey, ensuring guests and crew have the best experience Liverpool and the city region has to offer. She looks to create moments so memorable that visitors simply have to return. Mayor of Liverpool, Joe Anderson said; “We’re incredibly proud of Kate and the team at Cruise Liverpool. For Kates work to be recognised at a global level is only right, she is a leader in her field and everybody who makes her acquaintance holds her in very high esteem. The City of Liverpool wishes Kate the very best of luck with her nomination, the top 20 finalists will be announced at Seatrade Cruise Med in Lisbon on 20 September 2018.